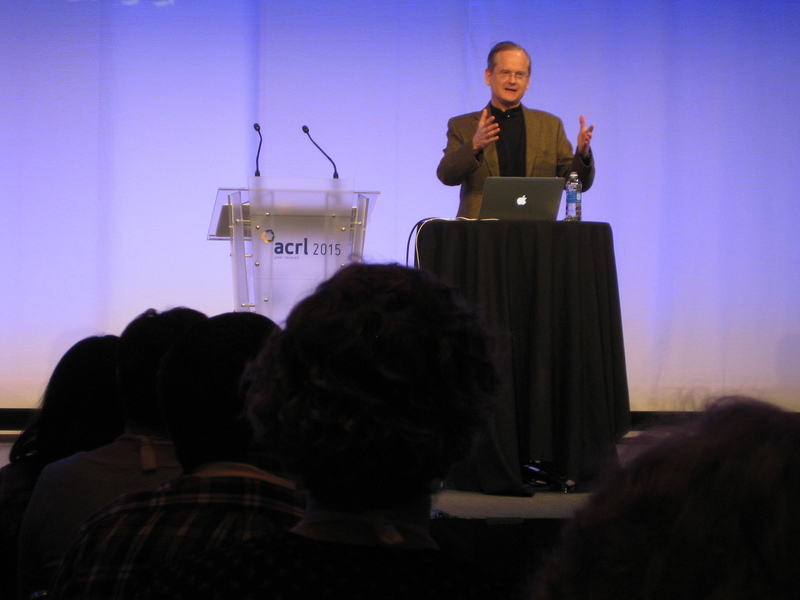 The huge OCC ballroom was standing room only as Lessig took the stage. He spent the first few minutes establishing the common denominator of the three causes he has fought for throughout his life – that common denominator being equality. For more, read this article in American Libraries Magazine.